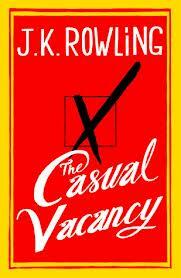 J.K.ROWLING – The Casual Vacancy. Nerves mounted as word spread that J.K. Rowling was releasing ‘a book for adults’; how would it ever live up to her Harry Potter franchise? How would she differentiate between child/young adult and adult reader? As a HP fan I was anxious to buy, let alone read the book, but of course curiosity got the better of me and here I am two weeks and 500 odd pages later, with J.K. still holding my top spot for favourite author. The story itself was unbelievable. When I read the blurb I signed inside thinking there was no way this was going to be interesting – a guy dies opening up his spot on the parish council and the town residents start fighting over it: bore. NO. I hang my head in shame for ever doubting her; once again she wiped the floor with another audience. Okay it was obvious that she was trying very hard to separate herself from well know children’s author, and at some points in the book it’s slightly cringe worthy; the language she’s using really doesn’t need to be that, erm how to put it, ‘blue’, and at these points of the story it was crucial to keep telling myself ‘she didn’t write Harry Potter’. But apart from that, I can’t fault anything else – expect that I wanted more! Once again I was sucked into each of the characters lives and I came away craving more of their stories – what happened to them next? It is clear that this is intended as a solo book and it will be a shame if she continues with it (I want her to try something else now). The story takes a different format to that of what we’re used to with HP – another attempt at separation? But it works well, we meet all the characters on a personal level and the way in which we swap from storyline to storyline is flawless, it just flows and before you know it you’re half way through asking yourself when did I read all that? The book is packed with emotion and really gets you thinking about what is really going on in other people’s lives. I would love to see the research she did for this story as I think there would be a few nasty shocks! Once again, a beautifully written novel by Rowling, HP fans will be proud that our novelist idol can produce such contrasting stories but still captivate us all. A MUST read. 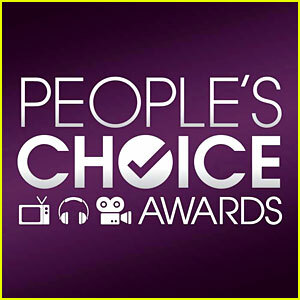 The People’s Choice Awards: The Winners…. So last night saw the People’s Choice Awards winners announced. There were some very deserving winners, some unsuspected winners, some questionable winners and some downright, WRONG winners – can anyone guess who I may mean by this? Yes you’ve guessed it: the TWI-HARDS!!! Okay, yes I am biased, as a loyal Potterhead I am slightly distraught that we were not accepting the award BUT at least there was a tiny link to HP with Robert Pattinson being involved. Even still, we should have won. The other big shocker for me was the winner of Best Movie Franchise, going to The Hunger Games…er hello?! They only have 1 film out, they haven’t been around very long, you can’t buy everything in the form of the Hunger Games, and to top it off, THEY DON’T HAVE A THEME PARK. I would have been quite happy if HP lost to Twilight, I can see how that franchise could be top of the list – I even own a Twilight bed spread, but I mean The Hunger Games? Come on, get real?! Some other, very deserving winners included the beautiful Jenifer Aniston for Favorite Comedic Movie Actress; Big Bang Theory for Favorite Network TV Comedy and Ellen DeGeneres for Favorite Daytime TV host. In the music realm Katy Perry wiped the floor, claiming 4 awards, including her Katycats winning Favorite Fan Following and Taylor Swift scooped up Favorite Country Artist – I mean really, who else was going to win that one? I accept I am bias as to who I love, but in the end aren’t we all? Take a look at the winners and decide for yourself.